Product prices and availability are accurate as of 2019-04-17 00:32:57 UTC and are subject to change. Any price and availability information displayed on http://www.amazon.com/ at the time of purchase will apply to the purchase of this product. Being too busy to work out is an excuse many people use to justify an inactive lifestyle. The truth is, if you want to work out, you'll incorporate it into your schedule. 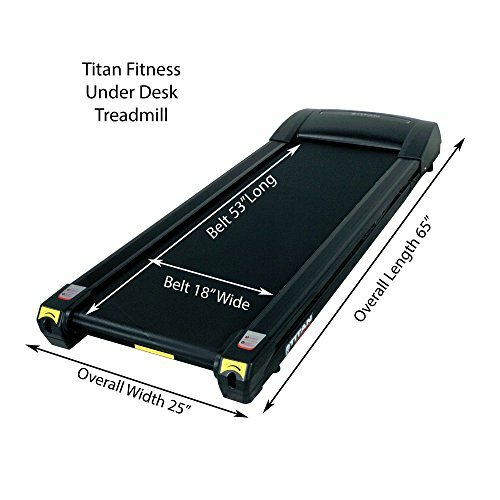 At Titan Fitness, we can help you achieve your weight loss goals with our mini treadmill. This treadmill is the perfect size to put underneath your desk or to place at your standing desk so that you can exercise while you work. It allows you to conveniently maintain your healthy lifestyle and still fulfill your business obligations. Type memos and make phone calls as you walk. This treadmill can go up to 4 mph with variable speeds in half mph increments. You can adjust the speed using the console. 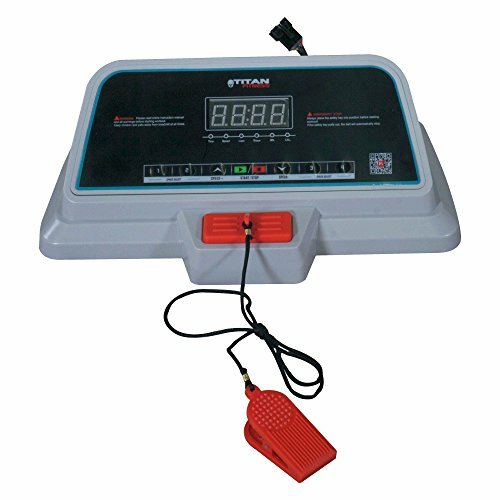 This console acts as a tracker by recording distances up to 99.9 miles, steps up to 9999, calories up to 999.9 Kcal, and time up to 99:59 min in a single session. This desk walker is not recommended for running on. To stay safe, the console includes a safety key. At the end of the key, there is a clip that you can attach to your shirt. 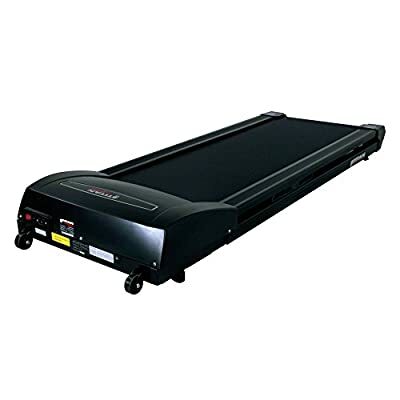 If the clip falls off, the treadmill will shut down to prevent further injury. 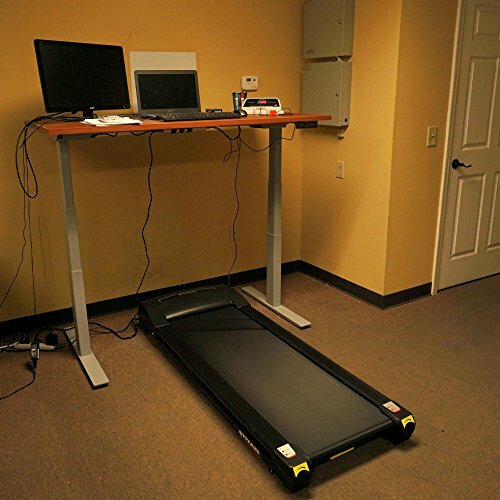 This treadmill is portable, weighing only 114 lbs. It measures at 65" L x 25" W x 8" H, so you can easily put it in storage when it's not in use. Its belt measures at 53" L x 18" W, so there is ample room for walking. - Variable speed in half MPH increments.